The site of the future school building at 40-11 28th St. is currently a parking lot next door to Newcomers High School. 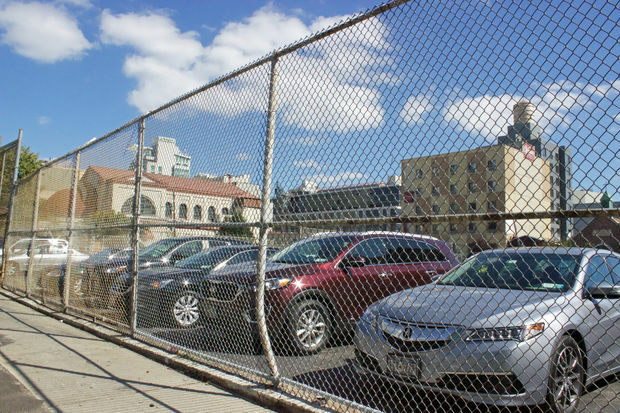 LONG ISLAND CITY — The city will construct a new school building with room for nearly 1,000 students in Dutch Kills to serve as the new home for the nearby Academy of American Studies, according to the Department of Education. The new four-story building is set to include 969 seats and will rise at 40-11 28th St. between 40th and 41st avenues, DOE spokesman Michael Aciman said. In addition to classrooms, the facility will include a gymnasium, library, cafeteria and kitchen, according to plans from School Construction Authority filed with the Department of Buildings Friday. It will be the new site for Academy of American Studies, which is currently split between two other buildings on the same block, including one it shares with Newcomers High School at 28-01 41st Ave. Classes from the Academy of American Studies will move into the new facility once it opens in September of 2021, allowing Newcomers High School to have its own space in the current building, a DOE spokesman said. The other building that American Studies occupies, at 28-04 41st Ave., will be vacated. There are no plans yet for how that building will then be used, the spokesman said. The project is one of several new school buildings planned for Long Island City in the coming years. Two elementary schools are slated to open near the waterfront in the next phases of the city's Hunters Point South development, and a third will be built as part of a mixed-use project planned for city-owned land at the end of 44th Drive. Correction: A previous version of this story stated that the new building would house a brand-new school, according to information provided Tuesday by DOE spokesman Michael Aciman. It will actually house the existing Academy of American Studies.